How about a theater full of demonic crazies, heroic pimps, and blaring heavy metal? 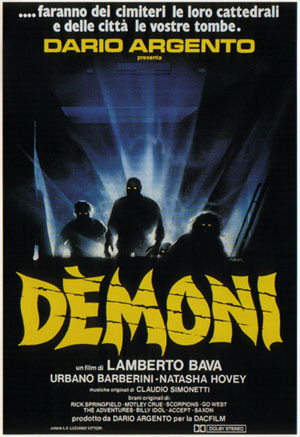 It’s the hard rockin’ trailer for 1985’s Demons, directed by Lamberto Bava. Posted on March 13, 2014, in FEATURE and tagged 1985, dario argento, horror, italian horror, lamberto bava. Bookmark the permalink. 1 Comment. How come this trailer looks so much better than the actual film? I can barely get through the movie, lol.